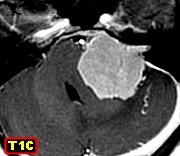 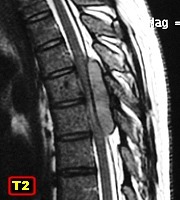 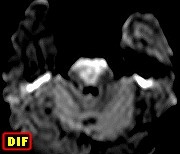 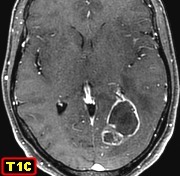 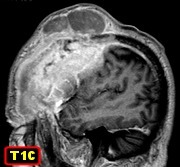 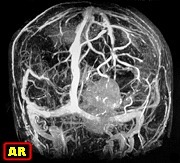 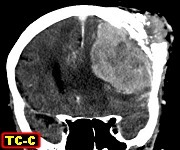 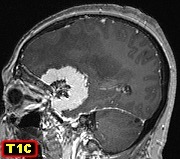 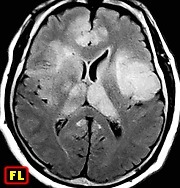 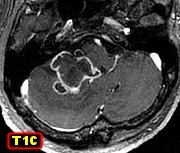 fronto-parietal meningioma with hyperostosis and brain compression (MRI Feb 2008) Same, midline section through infiltrated bone, HE. 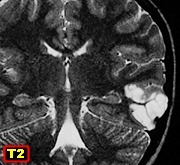 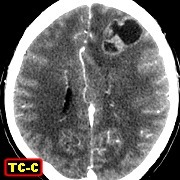 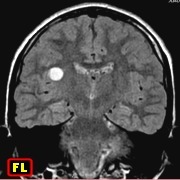 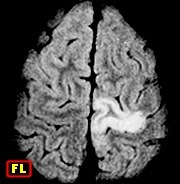 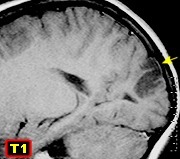 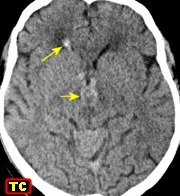 Excision of intracranial component deferred due to profuse bleeding Same, 4 years later. 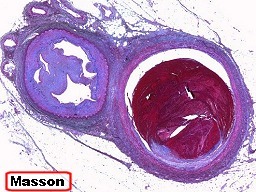 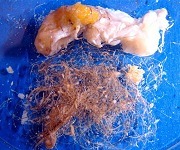 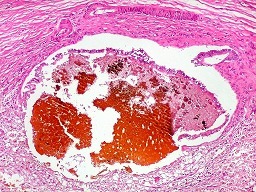 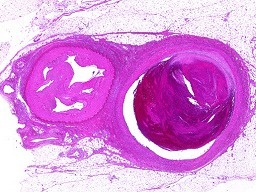 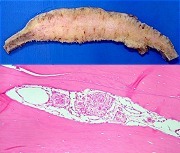 Same, surgical specimen under stereomicroscope Same, HE Same, Masson's trichrome Text : vascular malformations of the central nervous system: telangiectasias, cavernomas, AVMs. 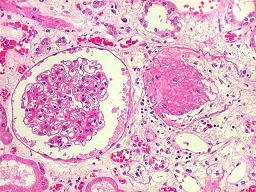 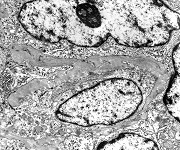 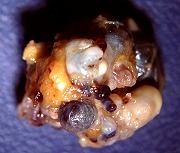 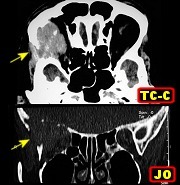 Texts about neuroepithelial tumors of the nasal cavity and paranasal sinuses : olfactory neuroblastoma (1) (2); neuroendocrine carcinoma, sinonasal undifferentiated carcinoma (SNUC). 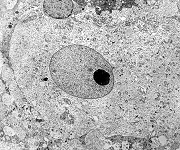 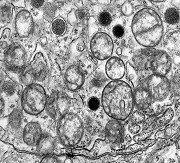 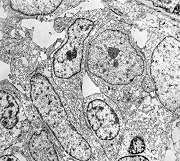 Texts about : macrophages, dendritic cells, Langerhans cells, Birbeck granules, Langerin, histiocytoses, Langerhans cell histiocytosis, CD1a, CD68. 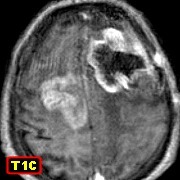 M. 70 yr. Atypical meningioma with intra and extracranial growth replacing left side of frontal bone Same, HE - hipercellularity, small cells, prominent nucleoli Same, immunohistochemistry. 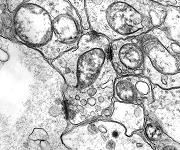 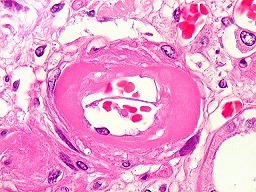 Pictured: EMA positivity in tumor cell membranes. 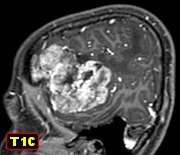 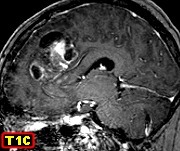 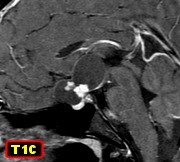 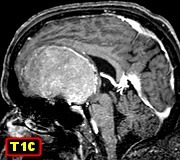 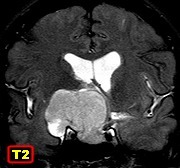 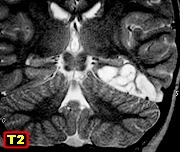 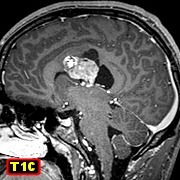 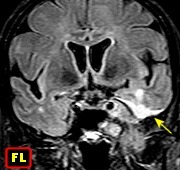 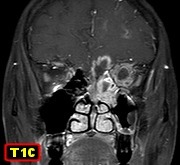 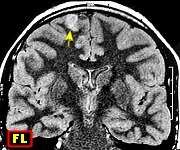 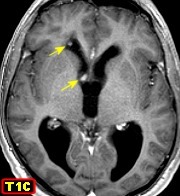 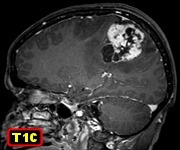 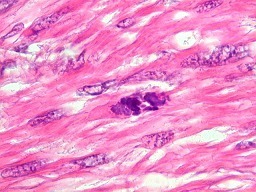 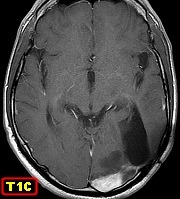 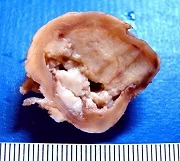 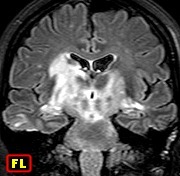 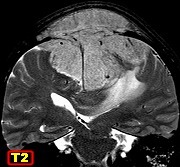 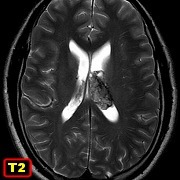 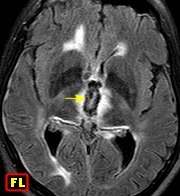 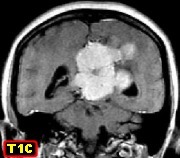 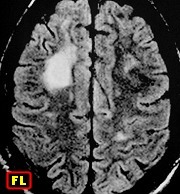 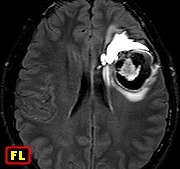 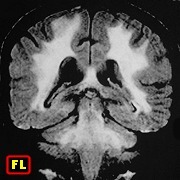 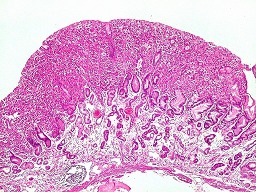 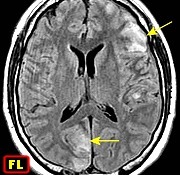 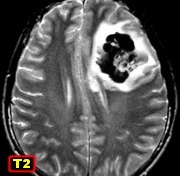 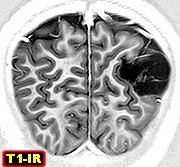 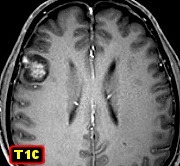 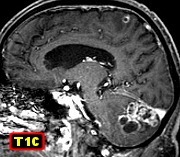 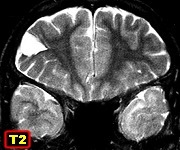 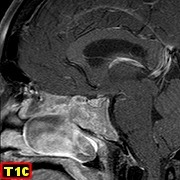 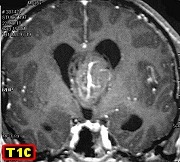 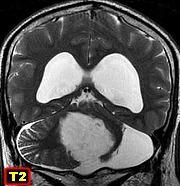 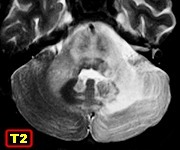 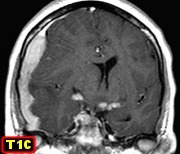 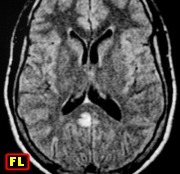 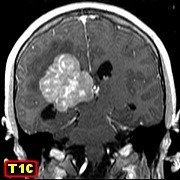 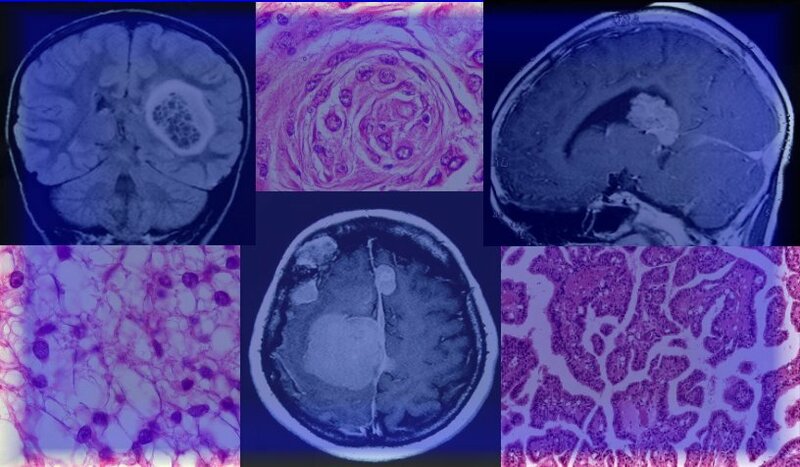 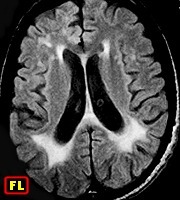 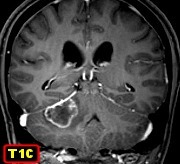 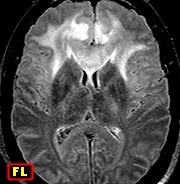 M. 60 yr. Metastatic melanoma in genu of corpus callosum mimicking butterfly glioma Same, HE Same, IH. 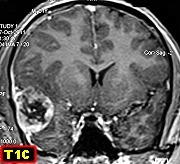 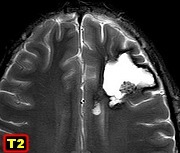 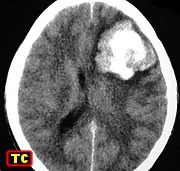 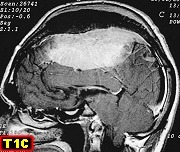 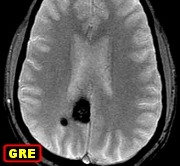 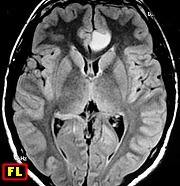 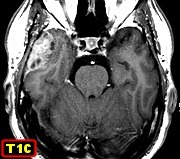 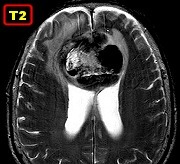 5/2/11 Meningiomas - illustrated teaching texts : general features, neuroimaging, gross pathology, microscopy, immunohistochemistry, electron microscopy, meningiomas WHO grade I, grade II and grade III.